Research firm IHS iSuppli today announced that it has completed its full teardown of the CDMA iPhone that launched on Verizon this week, estimating that the device carries a bill of materials cost of about $171.35, or approximately 9% less than the original iPhone 4. Despite having nearly the same functionality and a similar bill of materials (BOM) as the previous model, the new code division multiple access (CDMA) version of the iPhone 4 carried by Verizon Wireless includes significant changes in its design and component selection, IHS iSuppli teardown analysis indicates. 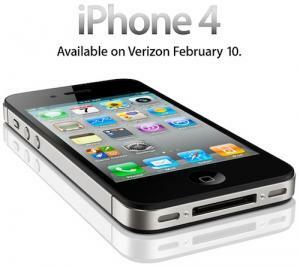 The latest version of the iPhone 4 carries a BOM of $171.35, down from $187.51 for the previous model, based on a preliminary pricing estimate issued in June. When manufacturing expenses are added, the total production cost for the CDMA iPhone 4 amounts to $178.45. While some of the difference appears to simply be due to reductions in the cost of components over time and would similarly affect the GSM iPhone 4 if it were evaluated today, Apple has made a few design changes that may have reduced costs for the company. Most notably, with Apple's adoption of the MDM6600 "world-mode" baseband chip from Qualcomm offering integrated GPS circuitry, the company has been able to eliminate a Broadcom GPS chip that is present in the GSM version of the iPhone 4. The report also points to a revised version of the Wi-Fi combo chip module from Murata as an example of a design change adopted by Apple for the new device. The new module is smaller than the one used in the original iPhone 4 and represents further optimization by the component supplier. Presumably unrelated to cost structures, the report also discusses Apple's modifications to the antenna design, which utilizes a separate Bluetooth/WLAN antenna isolated from the enclosure and allows the company to dedicate a portion of the frame as a diversity antenna to improve reception. iSuppli's bill of materials cost estimates account only for the cost of the individual hardware components used in the device, with an additional amount added on to reflect manufacturing costs. The estimates do not include other costs involved in product development, manufacturing, and sales, such as research and development, software, patent licenses, marketing, and distribution expenditures.